With BSC Designer Online you can use an external database as a data source for your KPIs. SQL Indicators work in both - BSC Designer Online and BSC Designer Server. 1. Open a scorecard, go to the "KPIs" tab. 2. Select "New WebSQL Indicator" in "Add..." menu. 4. Enter port number. 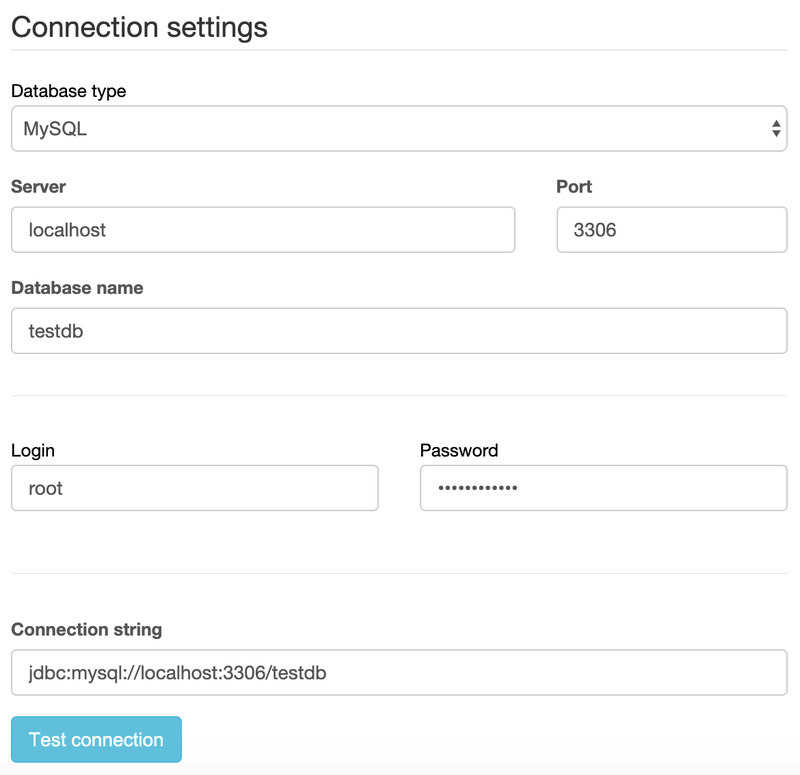 For a locally installed MySQL database the default port number is 3306. 5. Enter database name, access login, and password. Click the "Next" button. 6. Formulate required SQL query (see some examples below). 7. Click on the "Next" button to preview the results. Click on the "Finish" button. BSC Designer expects to receive one value as a response to the SQL query. The received data will be used for the Value field of the indicator. Case 1: Indicator is updated daily. There is one value for each date. Case 2 (most used): Indicator is updated monthly. There are several values for this period in the database that need to be summarized. Click on any date in the calendar - BSC Designer will try to read data for that day; these requests are cached on the level of web browser session. Specify update interval - specify an update interval for an indicator. BSC Designer will update SQL indicator automatically using specified schedule.